I’m just a little bit excited tonight. 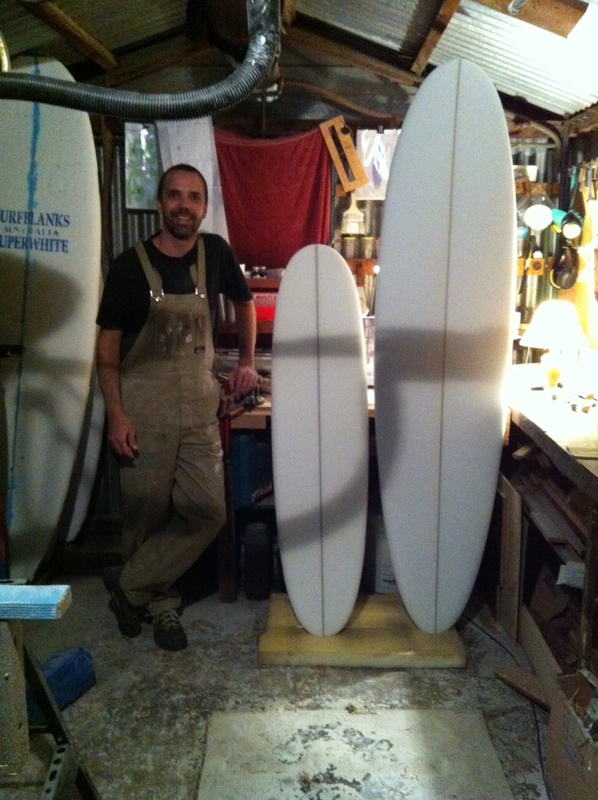 On Saturday night I finished off the shaping stage of Tom’s board and was able to start in on Felix’s – the second of the baby eggs. Tonight, I’m happy to report, I finished Felix’s. These little boards are so fast to make. Two passes with the planer and you’ve finished one rail band. Three strokes with a 40-grit sanding block and you’ve nailed the foil. Yep, the first one sure is nerve-wracking, but if you approach it with the assumption that you’re going to make mistakes and that it’s an ongoing learning process, you won’t ever be too disappointed in the results. Hope it all goes well.